We received a plea from Thousand Palms Animal Shelter, CA in November 2013. 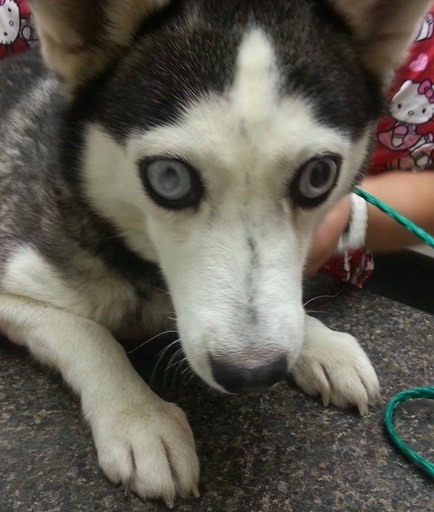 They had received a petite 1 year old female husky who had been confiscated from her owner, she was completely blind, with bulging eyeballs, caused, they believed, by some kind of trauma. We knew that it was highly probable that we would have to remove both eyes and that the surgery would be expensive. We also knew that it would probably take a while for a suitable adopter to be found, but we just could not say no. If we didn’t take her, then who would! 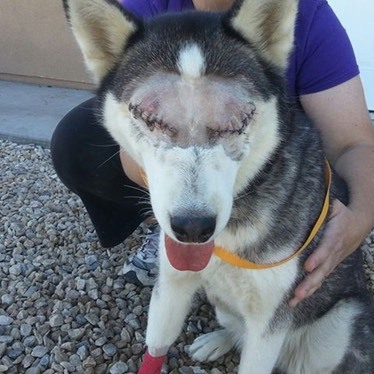 We got her into surgery right away, we knew that she was in excruciating pain caused by the pressure in her eyeballs and we trusted that our supporters would be there for us to help with the vet bills. After surgery she was fostered by one of our Board Members and quickly proved that she was ready for a family of her own. She was resilient and plucky, showing no fear as she navigated her knew territory and she wanted to play. Play and cuddle. She was like a little shadow always wanting to be touched. She was just precious. 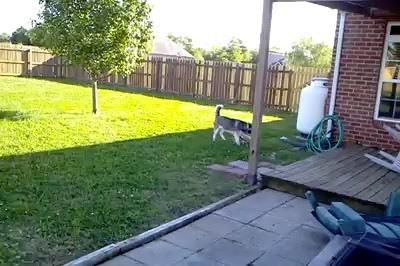 After a few weeks of medical rest and rehab she was ready for her new life to begin.